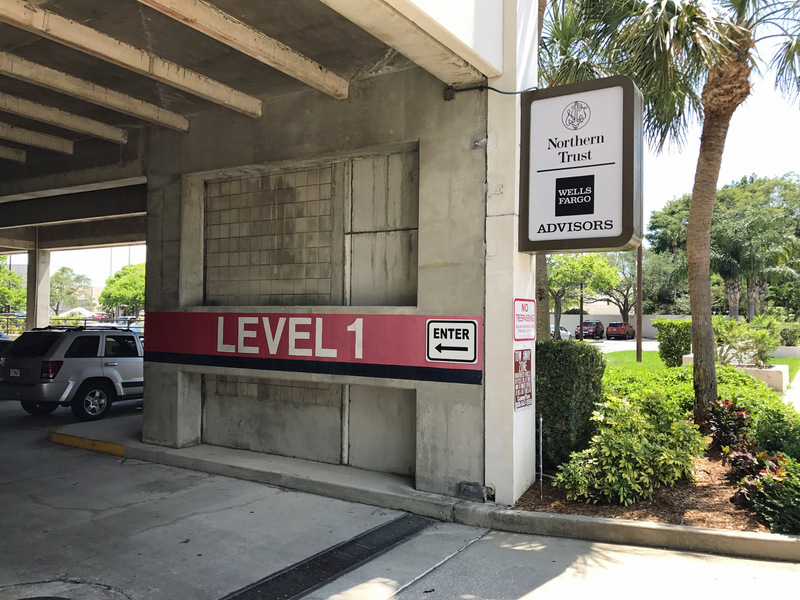 There is ample parking on the street and in parking garages on both corners. See our note below the map about parking. 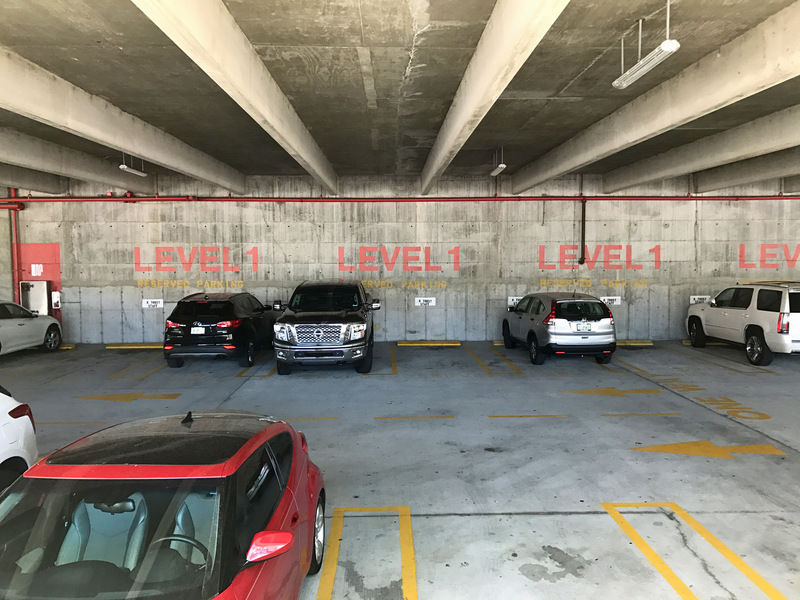 The free parking is on Level 1 only. 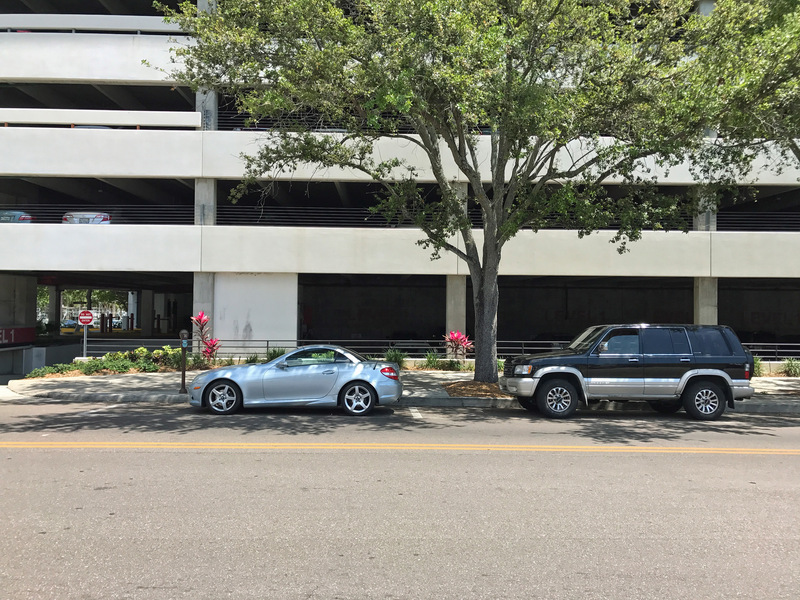 Don't park in the Publix parking lot. They will tow you in 60-seconds flat. They have spotters 24/7.